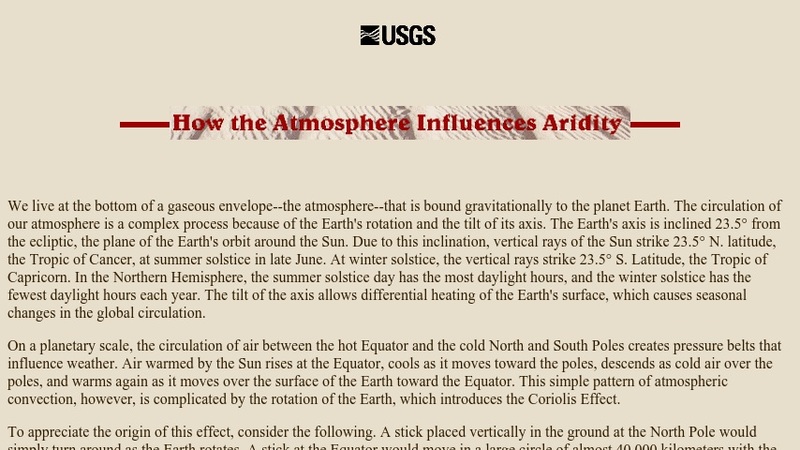 This site, produced by the U.S. Geological Survey, describes the circulation pattern of Earth's atmosphere, which is influenced by differential heating and the Coriolis Effect. This circulation causes the formation of warm, dry areas on the Earth's surface which are where deserts are likely to exist. The site features text, a photograph, and a scientific illustration showing the atmospheric circulation pattern.